The Cell Screening Facility for Personalized Medicine (CSFPM) at Tel Aviv University is devoted to finding new drugs for rare diseases using human cell-based models. Rare diseases occur in a small percentage of the population. Their uncommon occurence generally results in a lack of knowledge about these diseases, a lack of treatment, and a lack of research investment by pharmaceutical companies for drug discovery. Moreover, even though most rare diseases are genetically inherited and are caused by mutations in specific genes, phenotype variability exists between individuals suffering from the same disease. Standard approaches towards drug development are inapplicable for rare diseases, as multi-phase clinical trials cannot be performed to evaluate efficacy. The challenge posed by this complexity dictates the need for personalized medicine. ​​​Our facility applies a personalized approach to screening patient-derived cells through the use of small but diverse compound libraries. Our screening method uses image-based high content screening/analysis (HCS/HCA), which allows for the characterization of cell phenotypes from donors with and without a disease by using it as a multi-parametrical profile or as a personal signature of the analyzed cells. Currently we are working to establish cell-based HCS models for future drug screening of the following rare diseases: Amyotrophic Lateral Sclerosis (ALS), Duchenne Muscular Dystrophy (DMD), Familial Dysautonomia (FD) and Mitochondrial Neurogastrointestinal Encephalopathy (MNGIE). 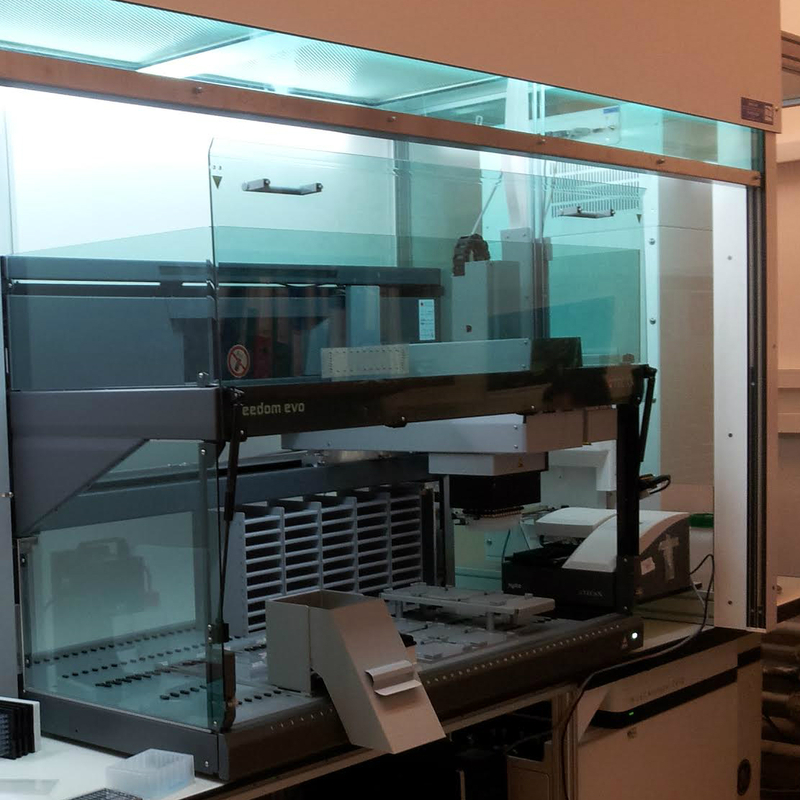 Our facility at Tel Aviv University uses a fully automated integrated liquid handling robot (image on right) with an IN Cell Analyzer 2000, ​sterile hood, and automated cell incubator with computer server for data mining and analysis. 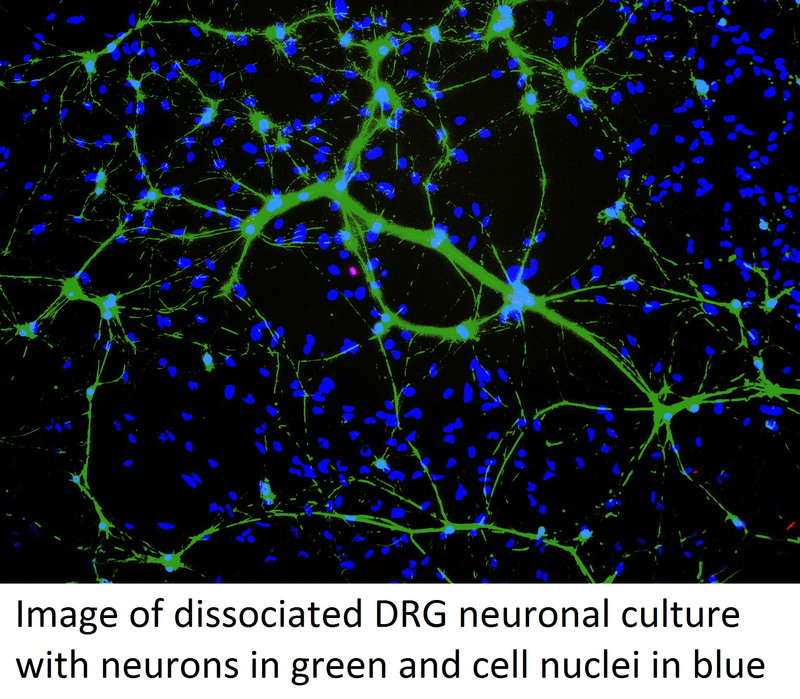 The CSFPM is used for conventional phenotypic screening of small molecules libraries (using our 20,000 compounds collection) of rare neurodegenerative diseases like Adult Polyglucosan Body Disease (APBD). In addition, CSFPM was recently involved in several projects to characterize the toxicity of different nanomaterials such as lipid nanoparticles and hyaluronic acid conjugated carbon nanotubes. CSFPM is open to collaborations with academic labs and companies, particularly in the fields of rare diseases and personalized drug discovery. CSFPM offers outsourcing services about HCS, automated liquid handling, and drug discovery to biopharmaceutical industry, academic labs, medical institutions, and other potential customers. For further information please contact Prof. Miguel Weil or read the scientific article to learn more about our research. L.J. Solmesky, M. Shuman, M. Goldsmith, M. Weil, and D. Peer. Assessing cellular toxicities in fibroblasts upon exposure to lipid-based nanoparticles: A high content analysis approach. Nanoscience & Nanotechnology, Vol. 22 (49), 2011 (pp. 494016). R. Dvash, A. Khatchatouriants, L.J. Solmesky, P.P. Wibroe, M. Weil, S. M. Moghimi, D. Peer. Structural profiling and biological performance of phospholipid-hyaluronan functionalized single-walled carbon nanotubes. J Control Release, Vol. 170(2), 2013 (pp. 295-305).